Need to organize a baby shower? Don’t stress. The key is to organize your ideas and tasks. 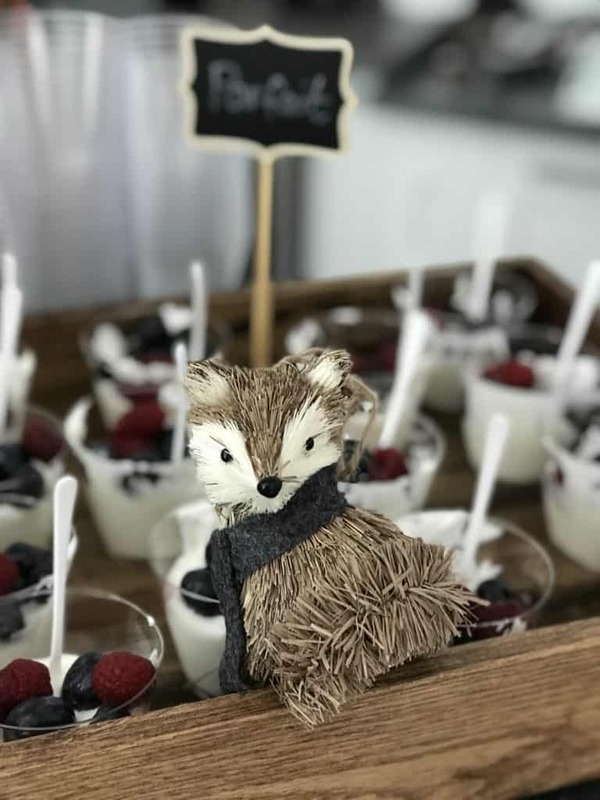 To help you, we made a list with 8 simple steps to host the best baby shower withouth breaking the bank. The guest list is the first thing you should do. In the past, only women were usually invited but now many baby showers include men as well. It does not have to be a massive party. I would invite the closest friends and family members for a more intimate party. Unless it’s a surprise shower, make sure to double check with the mom-to-be to see if you forgot anybody. After your list is finalized, send the invitations. If you want to save money, send them by email or using a digital evite service. Yes, it seems obvious, but there are many people who forget how important location is. Before choosing where to have the party, ask yourself how the weather will be on the selected date. If the event, for example, is going to be held in the summer months, try to host the baby shower in a place and with air conditioning and protected from the sun. If it is the rainy season, don’t plan for an outside event unless you have a plan B. For reference purposes, find out what the weather has been like in previous years. If you want to save money, it’s best to celebrate at home, so you don’t spend a dime on renting a party room. Just keep capacity in mind: you must be able to accommodate the number of guests! The theme of the baby shower will ultimately depend on the mom-to-be’s taste and preferences. Figure out whether she’s modern or classic, whether she loves everything pink, or prefers a rustic or shabby chic look. It’s best to either ask your pregnant friend or check out what her preferences usually are. Then let your imagination fly! You can also find inspiration on Pinterest, where you can get many ideas. And if it’s a couples’ baby shower, ask the dad, too! I suggest you don’t spend a fortune on decor; reuse things you already have at home. For example, use your own serving pieces. You can also give a special touch with small, inexpensive, decorative details, like chalkboards. 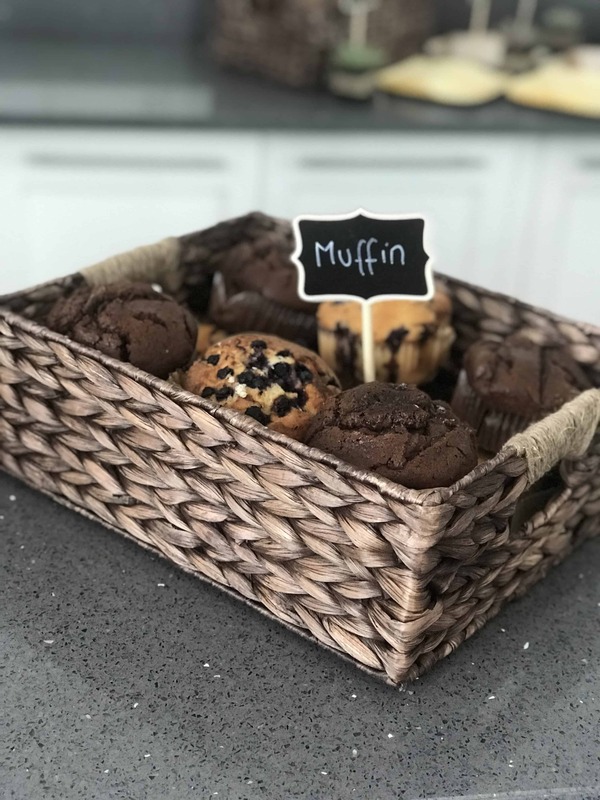 For example, if you want have a rustic or garden theme, you can buy a tray and wooden containers, blackboard posters, some twigs and flowers. Or for a more colorful theme, use primary colors and decorate with crayons, papers and balloons in those colors. You can also make the baby’s name the focal point of the party. Buy the letters and turn the name into a centerpiece or wall decor. 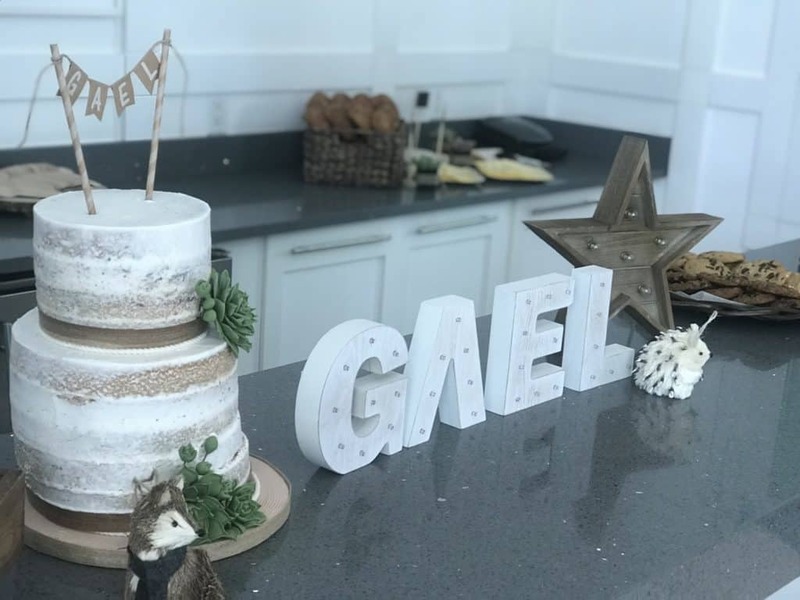 You can even use the name as a cake topper. What to offer? I love the idea of making food and beverage stations. It is so easy, more informal and dynamic. 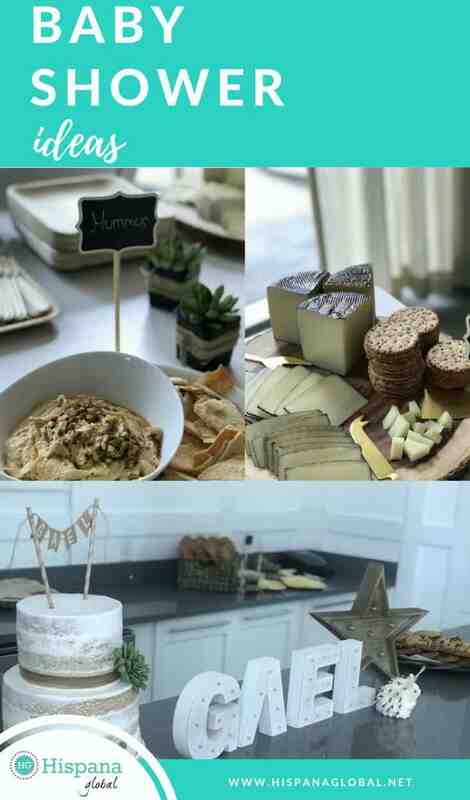 Some ideas for food stations: cheeses, small appetizers, salads, a dessert or sweet table. 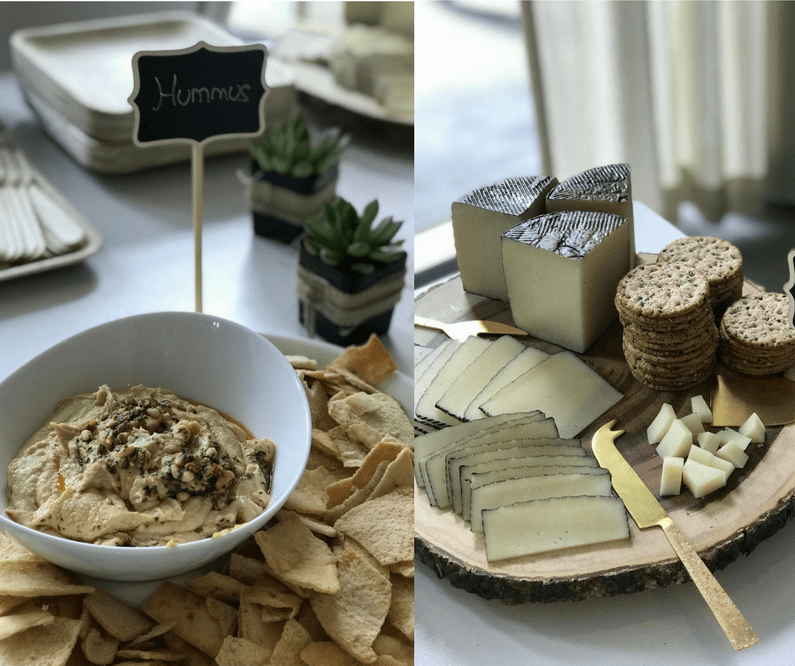 Each guest can choose what they like. Just keep in mind any food allergies when choosing the food; you might want to create a gluten-free station, for example. 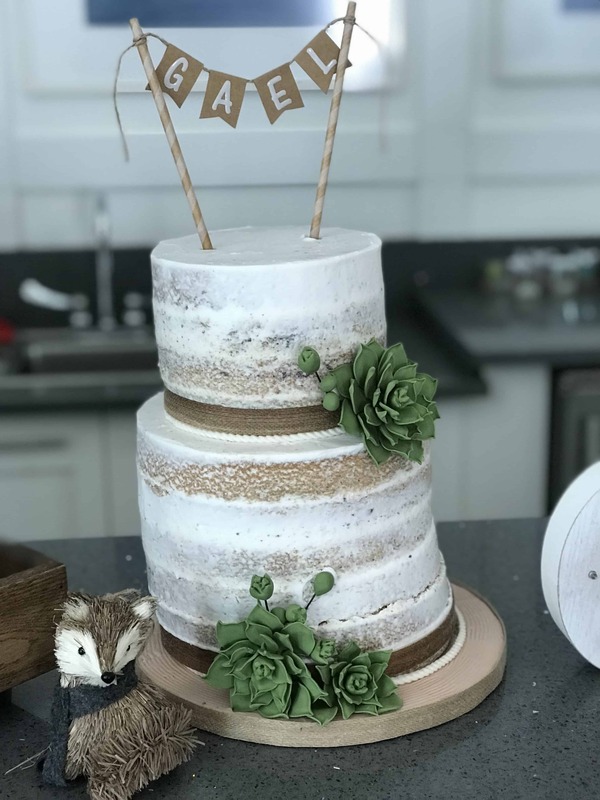 A cake is a must! You can choose one related to the Baby Shower theme or focus on the baby. 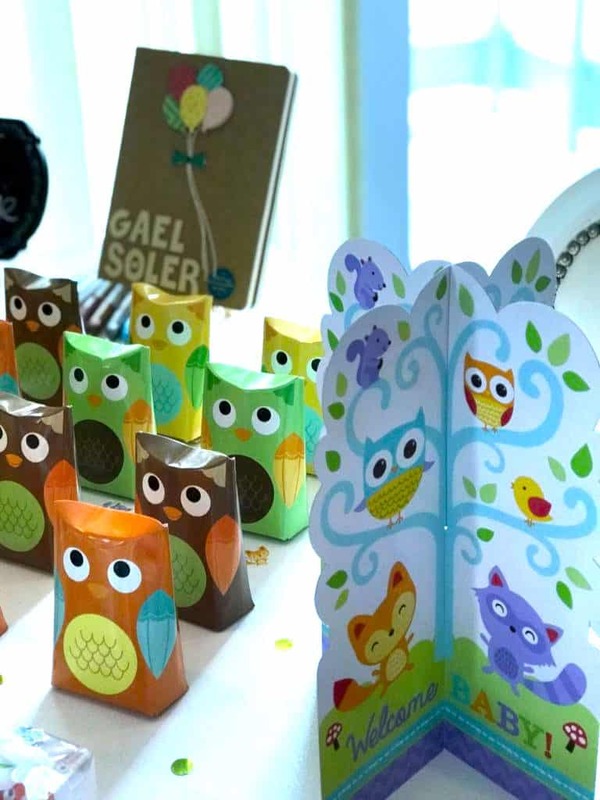 Almost all Baby Showers now have games. You can organize a round of trivia with questions related to the parents and baby. Other ideas: a diaper changing race using a doll, guess the pregnant belly’s size, or have guest guess the price of popular baby registry items. Finally, you can make party favors for all the guests. Don’t overthink it; you can fill small containers with candy, trail mix or chocolates. It´s also cute to print candy wrappers with the baby’s name for a customized favor. Or do a simple photo booth and print out the pictures so guests can take them as souvenirs. Don’t forget about a gift for the parents-to-be: have a guestbook so everybody can leave a few words for the baby. You can also do a photo wall where guests stick their photo booth pictures so there’s a memento of the party. We hope these tips help you organize the best Baby Shower ever!